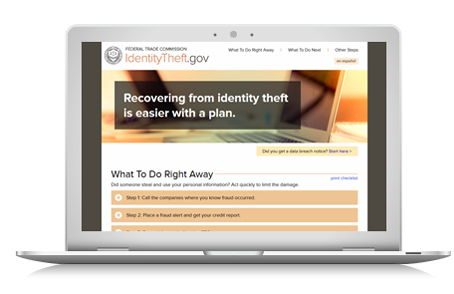 The Federal Trade Commission has launched IdentityTheft.gov, a new resource that makes it easier for identity theft victims to report and recover from identity theft. A Spanish version of the site is also available at RobodeIdentidad.gov. The new website provides an interactive checklist that walks people through the recovery process and helps them understand which recovery steps should be taken upon learning their identity has been stolen. It also provides sample letters and other helpful resources. In addition, the site offers specialized tips for specific forms of identity theft, including tax-related and medical identity theft. The site also has advice for people who have been notified that their personal information was exposed in a data breach. Identity theft has been the top consumer complaint reported to the FTC for the past 15 years, and in 2014, the Commission received more than 330,000 complaints from consumers who were victims of identity theft.